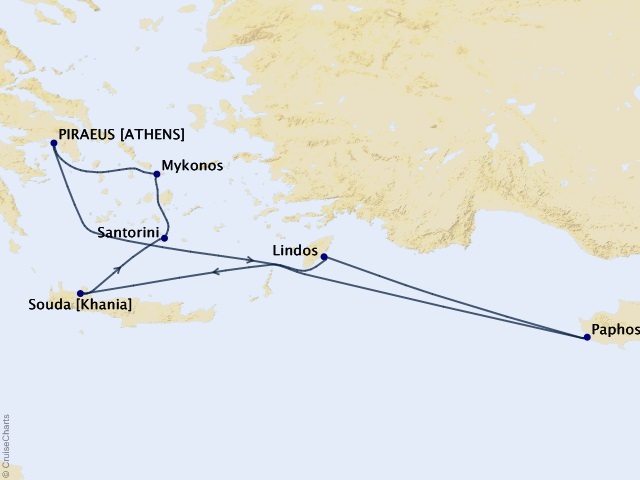 Complimentary internet and Wi-Fi access is available on board throughout the ship. Crystal Cruises encourages you to bring your own device/s with you to use during your voyage. Once on board, please connect to Crystal's complimentary Wi-Fi. Certain applications (apps) available on personal phones and other devices are satellite dependent and thus subject to interrupted availability. 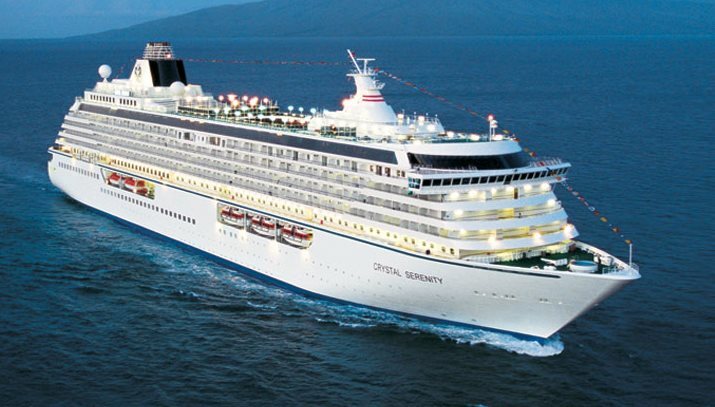 Crystal Cruises kindly asks all guests to observe the non-smoking areas on board which have been created for the comfort and enjoyment of everyone. Indoor smoking is permitted only in the Connoisseur Club smoking lounge. Smoking is prohibited in all other indoor areas of the ship including all other public rooms, lounges, corridors and restaurants, as well as all staterooms, suites and verandahs. Please note, if smoke is detected in a stateroom or suite, a cleaning fee of $250 per incident will be billed to your account. A wide choice of pre-packaged kosher-certified meals, including meats, seafood, and poultry, as well as white and red kosher wines, is available on a limited basis, on every itinerary. All chefs, kitchen, and dining staff have been trained in kosher food preparation, handling, and servicing. Only kosher pots, pans, and utensils are used, and plates, silverware, and glassware are washed separately. Due to limited provisioning resources, the number of guests per cruise who may partake in a kosher-style program is restricted to 20. Guests whose diet requires, or who wish to dine kosher-style, must provide Crystal Cruises with advance notice at the time of the initial reservation, and no less than 90 days prior to sailing. Crystal will do all they can to ensure guests' needs are met. Due to limited availability, kosher-style dining is subject to confirmation from Crystal Cruises. Guests must bring their own wheelchair or electric scooter that does not exceed 22" wide. Please note: Crystal Cruises reserves the right to limit the number of electric scooters on board. Crystal's ships were designed to be accessible for the physically challenged, with ramp access to most decks and public areas. Ships’ elevators can accommodate most wheelchairs, motorized wheelchairs or electrically-powered scooters that do not exceed 22" wide, allowing access to all public decks. It is strongly recommended that the guest be accompanied by a traveling companion for better access to all areas on and around both Crystal ships, as well as ashore. Certain staterooms offer extra-wide doors, fully wheelchair-accessible bathrooms and wheelchair-accessible closets with low-fitted hanging rods. Some suites offer limited wheelchair access to personal facilities. Staterooms and suites designated for guests with disabilities are subject to availability and must be reserved prior to boarding the ship. As some ports of call are anchorage ports and others may be challenging, certain physical conditions may preclude guests requiring wheelchairs or scooters from going ashore, especially in tender ports. This decision is made at the discretion of the ship’s Captain for safety reasons and is binding. The onboard Shore Excursions staff is able to assist with recommendations on which Crystal Adventures tours, if any, are best suited for guests with physical challenges or disabilities. Conference and meeting facilities are available on board. Select administrative services are available upon request for a nominal charge. For guests' convenience, 24-hour Wi-Fi access is also available throughout the ship, reception permitting. A trained physician and medical staff are on call 24 hours a day. The professional services of this staff, as well as certain medications, are available on board at reasonable costs. Guests requiring ongoing medication, or having specific dietary needs, are advised to bring an ample supply of medication or dietary supplements with them in their carry-on luggage. On all sailings and depending on demand, in-stateroom babysitting services for children 1 year and older are available on a first-come-first-served basis. Fees apply. Arrangements can be made through the Concierge located at the Reception Desk. Crystal ships feature a fully supervised Junior Activities program for kids between the ages of 3 and 17 on Holiday voyages and nearly all summer sailings, each with dedicated play areas for both young kids and teens. Children are supervised during their activities with the Junior Activities Directors, and children with parents’ permission are free to come and go as they please. The Junior Activities program is not intended to be utilized as a babysitting service or daycare facility. Children under the age of the 3 must be supervised by a parent or guardian at all times.